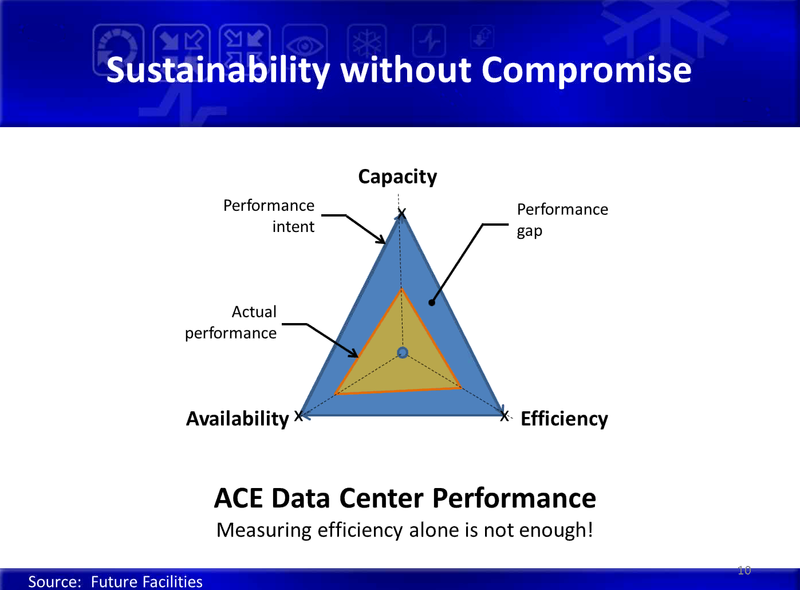 Many data center facilities focus on improving the infrastructure efficiency, measured by PUE (Power Utilization Effectiveness), but a single minded focus on that metric will often yield perverse results, such as low equipment utilization, stranded capacity, and wasted capital. Even straightforward “energy saving” equipment replacements, like lower power air handling units, can result in stranded capacity, hot spots, and equipment reliability problems, even though the throughput for the fans is ostensibly the same as that of those they replace. It’s the business results that should matter to data center owners, not improvements in imperfect efficiency metrics like PUE or fan output. 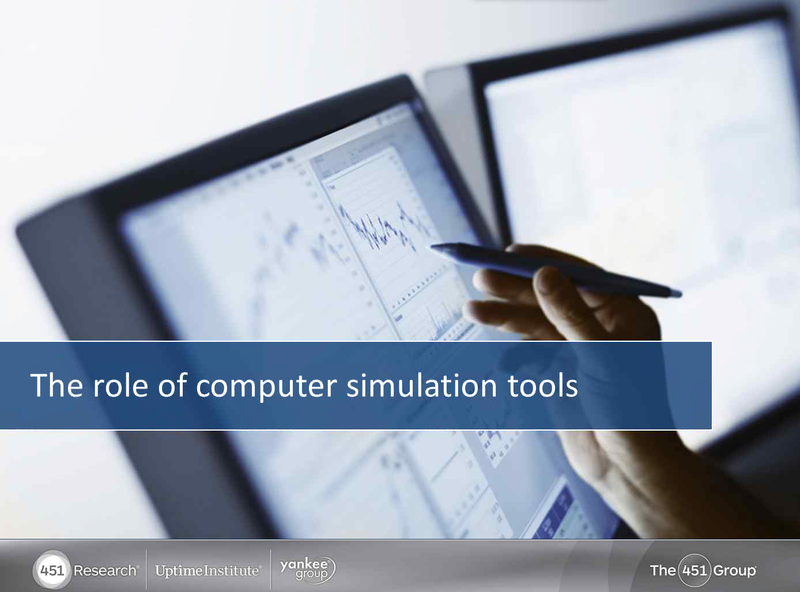 That means a focus on both the cost per computation and the total revenues from computation, detailed analysis of efficiency improvements in both computing and infrastructure, and sensible application of computer simulation tools to understand how changes in information technology deployment will affect the utilization of data center infrastructure over time. 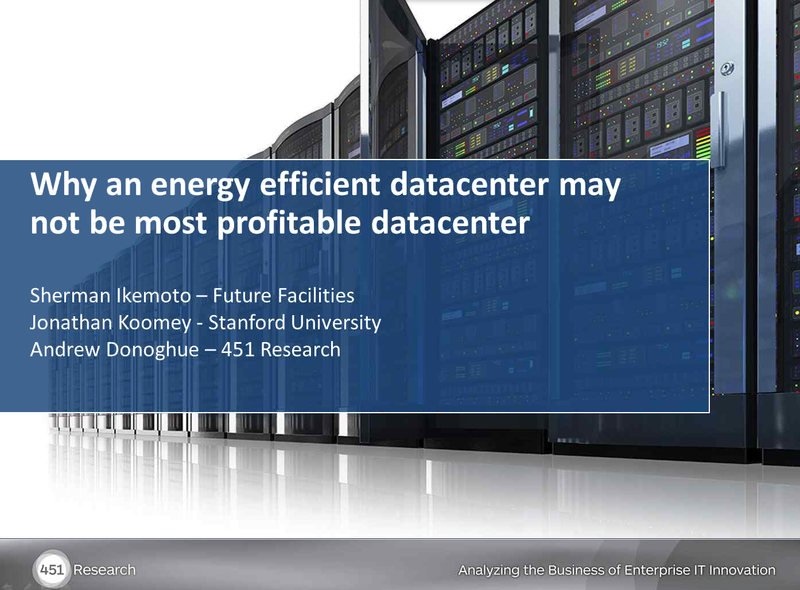 This webinar will explore a more holistic, business-focused view of data center efficiency grounded in the key performance indicators that should be most important to the companies that own data centers. Andrew Donoghue is the European Research Manager at 451 Research. He leads the firm’s involvement in a number of European Commission-funded IT research projects, including CoolEmAll (www.coolemall.eu) and RenewIT (www.renewIT-project.eu), and works closely with the Uptime Institute, a division of The 451 Group. Andrew is the author of several major reports covering eco-efficient IT; power management; policy, legislation and compliance; and datacenter management and energy-efficiency. He has represented 451 Research at the Green Grid and other major datacenter events. Before joining 451 Research, Andrew worked with several leading technology and environmental publications as a writer and project consultant, specializing in green IT and related technologies. He has also held senior editorial roles at a number of business publishing companies, including CBS Interactive and Incisive Media. Andrew has been closely involved in research and fundraising for technology reuse in developing countries, and the benefits for education, via organizations such as Computer Aid International. He has a degree in Zoology and Environmental Science from the University of Liverpool. Sherman Ikemoto is a Director for Future Facilities Inc. a leading supplier of data center design and modeling software and services. In this role, Sherman is leading an effort in the US to educate the market about the need for Continuous Modeling in the design and operational management of data centers. Prior to joining Future Facilities, Sherman had worked at Flomerics, Inc. as a sales, marketing and business development manager. Previous to that, Sherman designed military electronics for the US Government. Sherman has over 20 years experienced in the field of thermal-fluids and electronics cooling design. Sherman has a Bachelor’s of Science degree from San Jose State University and Masters in Mechanical Engineering from Santa Clara University. This entry was posted in Data Center DCIM Datacenter Datacenters Datacentre and tagged 451 group, 451 research, 6sigmaDC, 6SigmaFM, Andrew Donoghue, capacity, CFD, data center, data center efficiency, data center facilities, data center infrastructure management, data centers, Data Centre, Datacenter, datacenters, datacentre, DCIM, Design, efficiencies, energy-efficient, fragmentation, future facilities, infrastructure, infrastructure efficiency, IT, jonathan koomey, key performance indicators, kpi, management, monitoring, predict, Predictive DCIM, predictive modeling, predictive modeling for dcim, PUE, sherman ikemoto, simulation, stranded capacity, virtual data center, Virtual Facility. Bookmark the permalink. I agree that business drivers and outcomes are much more important. However, having said that, I have a new data centre revolutionary design that allows for maximim efficiencies, lowest PUEs from day 1, even if the DC is 10% occupied while allowing for maximum flexibility. But at the IT workload end, we need to be looking at high utilisations rates, applications loaded on right fit for use servers, then virtualised. I would be happy to speak and put in my two cents worth, but we can actually have the cake and eat it. The beauty about our design is that it actually cost less, not more! !